In a surprising twist, on January 17, 2019, MedPAC unanimously recommended a 2% increase in the long term acute care hospital (LTACH) base rate for FY2020. This change comes on the heels of a recommendation by MedPAC in December to maintain the current base rate. The change was reportedly made due to concerns over the declining margins for LTACHs, and the need for more time to review the role of this venue within the Medicare program mix. The increase is welcome news for LTACHs. In stark contrast to an article published in August, 2018, where LTACHs were referred to as “waste” within the industry, with care delivery and outcomes comparable to skilled nursing facilities and home health agencies, somebody must have found some value somewhere. LTACHs have long been misunderstood. Viewed properly, LTACHs comprise an integral part of the care delivery system for the critically ill, medically complex, acute care patient population. The National Bureau of Economic Research published the above referenced study comparing the outcomes of LTACHs, SNFs and HHAs in relation to the reimbursement each venue received. Given that LTACHs provide acute care, and that the other venues provide care post an acute care stay, there is no reasonable, unbiased comparison to be made between venues. Furthermore, a strong argument could be made to remove LTACHs from the “Post Acute Care” discussion, as they are licensed or registered under State regulations as a form of acute care hospital, and they are certified under Medicare using the same regulatory guidance as their short term acute care counterparts. Despite this seemingly poorly informed study, industry professionals understand the unique and distinct purpose of the long term acute care venue. Understanding that not all LTACHs operate alike, The Advis Group (“Advis”) has seen a return to the high level of acuity care that the venue was originally intended to serve. Advis applauds MedPac’s efforts to right size reimbursement for those LTACHs admitting patients who don’t generally meet the established criteria. Despite the increased scrutiny faced by LTACHs, despite the fact that its largely driven by concerns that providers may be transferring patients to LTACHs primarily motivated by higher reimbursement levels for otherwise comparable care, many organizations, primarily those in the non-profit sector, utilize this venue to provide the best possible outcome for a medically fragile patient population. While studies have examined the value and patient outcomes associated with LTACHs compared to other types of post-acute care facilities and concluded that patient outcomes are similar, if not the same, across the post-acute care spectrum, yet they are significantly more costly at LTACHs, we believe this perception is misguided. Advis has found that when LTACHs are properly managed and operated in accordance with their original intent, beneficial and demonstrable results in patient outcomes follow. Additionally, acute care hospitals that partner with LTACHs benefit from reduced costs and better outcomes when appropriate patients are transferred to LTACHs in a timely and efficient manner. Despite reimbursement challenges, and the continued need to educate the industry on the value of the LTACH to the care continuum, Advis continues to see growth opportunities in this market segment. While there has been a decrease in the number of LTACH providers, Advis believes this can be attributed to the imposition of the site neutral reimbursement policy. However, the number of respiratory diagnoses admitted to LTACHs continues to grow. Advis notes as well that while for-profit LTACHs may see a decrease in profitability, the outlook is more favorable for non-profit LTACHs admitting a medically complex patient population. 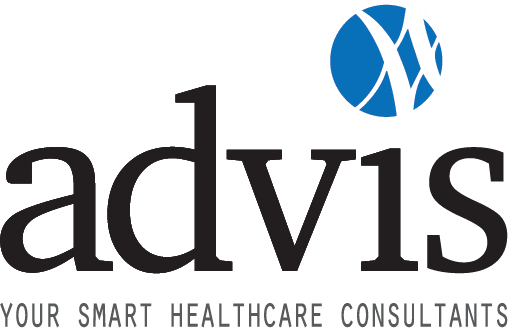 With potential post acute care payment bundling on the horizon, and a real need for legitimate extended stay acute care venues, Advis is currently working with a number of providers to position themselves for future change. Whether through feasibility analyses to assess need for a new facility, or by expanding LTACH beds within a facility’s complement, or by preparing and testifying for a certificate of need, or by taking positive steps toward developing new LTACHs, Advis assists organizations to successfully prepare for the future. To learn more about optimizing your LTACH strategy, call The Advis Group (708) 478-7030.